Ullman Sails Ventura is a full service Sail Loft. 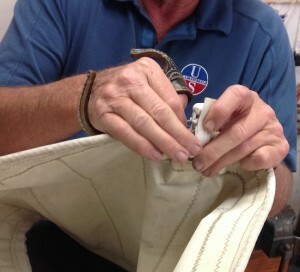 In addition to the finest quality in New Sails, we offer outstanding quality in repairs for racing and cruising sails. 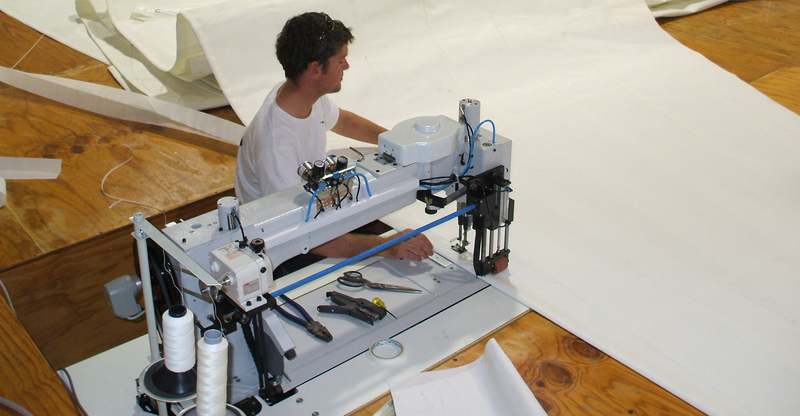 Re-cuts, luff, leech, and foot refinement, Spinnaker to Storm Jib, Main and Mizzen, any size boat, our experience brings you sail repair of the best quality. 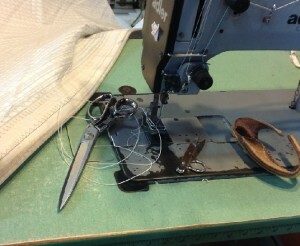 When you’re in a time jam for a sail repair, we’ll do our best to accommodate you. Loft hours are 8 am to 5 pm, Monday thru Friday. If you’re having trouble dropping off or picking up, call us. We can find an an alternate solution. When you ship a sail to us for repair, be sure to include your contact info. and a brief description of the work you want. We turn it around as quickly as possible and UPS it back. We’re located at Ventura Harbor in the big gray building on the corner of Harbor Blvd. and Spinnaker Dr.